A secure messaging system requires basic authentication of its users to be secure. To use the system, a registration procedure needs to be completed. Your recipients (who have already received a first secure message from you and entered a MUC best choose a password for free receiving in the future. Then you won't be asked to send them a MUC over and over. To assist you while you have them on the phone, PrivaSphere has prepared a set of screenshots (pdf ) illustrating the steps your recipient during the quick-register-process is going through. If you use the system for professional purposes, choose business. Choose between payment mode prepay and subscription. Enter your user identification, which is your eMail address and choose a password. Add your mobile device number or threema ID for an easy password renewing process. Terms of Service: review our terms and accept them, if you agree. Enter personal information. 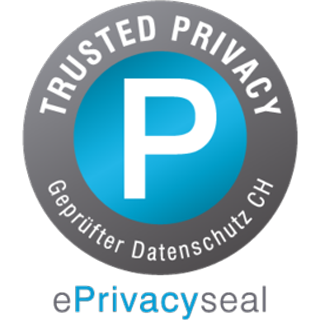 PrivaSphere does not want to know more about you then absolutely necessary. If you wish to receive an invoice, then provide us with the billing details. If you wish another kind of settlement, please contact a PrivaSphere representative. When in contact with support, they may need to verify that you are the entitled person for this account. For this you are asked to provide a personal security question with the appropriate answer. To avoid spam activity in the secure messaging system, we require that you re-type a machine generated character sequence. This concludes the registration. After this you receive an activation message from the system. Follow the link and login to the system with your own chosen password. For larger organizations, there are other ways of administrators-initiated pre-registrations such as by list (Excel) in CSV format (Comma Separated Values).Activation passwords can be sent for example by the administrator on a paper letter to the newly to be registered employees etc. PrivaSphere Secure Messaging requires proper authentication before it is granting you permission to use the system. Based on your login credentials, the system will then provide you with access to your account. 2. Type your PrivaSphere user ID, i.e. your eMail address, in the User ID field. 3. Type your password in the password field. 4. Click on the 'Login' - Button to log on the system. Note: Never give out your password to a site other than PrivaSphere's! If in doubt, read this. If you cannot login to the system, then contact a PrivaSphere representative for additional assistance. Users be log in at least once every 2 years on the platform. PrivaSphere Secure Messaging ensures that the passwords are stored using the best available encryption.Otherwise it may happen that the 'forgot password' process must be used. If a user has forgotten his password, he can obtain a new password by the following procedure. As it is not 100% guaranteed that still the same person is using the system, the access to earlier messages is deleted and the participants of the system are warned to re-validate their trusted relations. 1. Type your PrivaSphere user id, i.e. your eMail address, in the User ID field of the login screen. Click on the 'Forgot password' - button to start the procedure. 2. Choose a new password and enter in the 'choose password' field. Retype the new password and submit your new password to the system. 3. You will receive a mail with the subject 'forgot password' to re-activate your account. Follow the link on this mail and enter the new password. What happens, if the wrong password is entered too many times? If you have entered a wrong password three times, your account will be temporarily locked. After 24 hours you can try another three times. After the third time of three wrong attempts your account will be locked and PrivaSphere support needs to be contacted. With a security question you have given when registering, you can prove to the support that you are the authorized person. Support can unlock then your account. This procedure discourages password guessing attacks. Customers report that they find https://sourceforge.net/projects/passwordsafe a useful aid to prevent the problem to occur. If you leave your mobile number or threema ID in your account, you can receive a temporary password to log in. After loging set a new password. The test message received when entering your mobile number or threema ID can be deleted without further precautions.